" This little Class D monoblock amp with SMPS power supply from IQ Audio has dazzled me on the test bench this week. Looking forward to plugging it into some speakers next week." 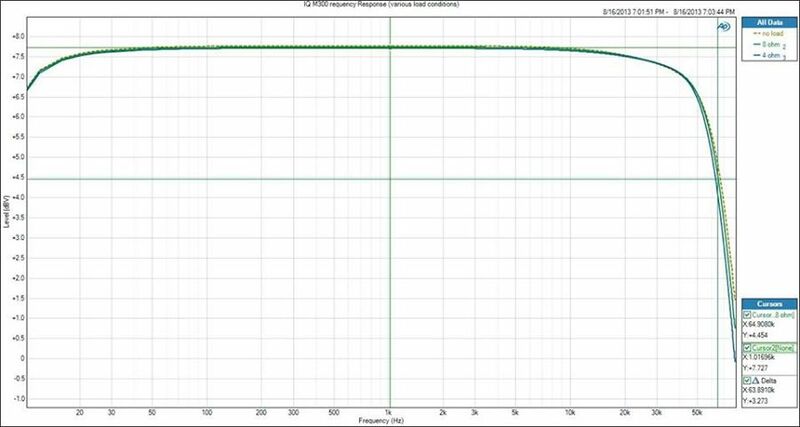 " The IQ Audio M300 Class D amp doesn't vary frequency response with changing load impedance. That is rare for a Class D and indicates it should sound consistently good with any speaker load." The following is a Stereophile magazine measurement of a well known class D monoblock amplifier. Note the frequency response deviations as loads change. Also, these amps are $6,000 per pair !
" 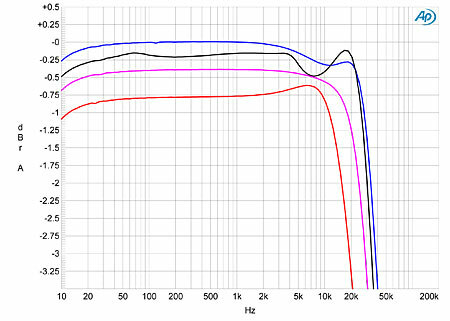 frequency response at 2.83V into: simulated loudspeaker load (gray), 8 ohms (blue), 4 ohms (magenta), 2 ohms (red). (0.25dB/vertical div.) "